An expert-level meeting of the Joint Commission of the Iran nuclear deal was held in the Iranian capital city Tehran on Thursday. 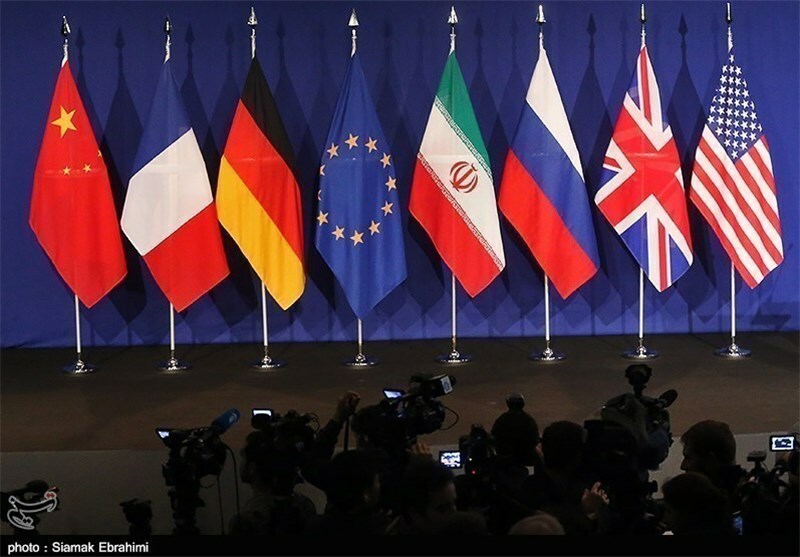 The meeting, which was held in two morning and evening sessions at the Iranian Foreign Ministry’s Institute for Political and International Studies, discussed the fallouts of the US’ withdrawal from the JCPOA. During the meeting, the participants exchanged views on finding practical measures to meet Iran’s legitimate demands and cope with the consequences of the return of Washington’s illegal sanctions against Iran. The talks were also focused on finding ways to compensate for the damages caused by the US’ illegal and unjustified pullout from the deal. The meeting was attended by delegations from the Islamic Republic, the European Union, the European Commission as well as China, France, Russia, Britain and Germany. The Thursday talks were held based on an arrangement made during an earlier meeting of the Joint Commission of the JCPOA on May 25 in Vienna. The Vienna meeting was held at the level of deputy ministers and political directors. The expert-level meeting was the latest round of consultations held over the past month on the US illegal withdrawal of the JCPOA and Iran’s decision to give a one-month deadline to the P4+1 group of countries (Russia, China, France, Britain and Germany) to guarantee the Tehran’s benefits under the JCPOA following the US withdrawal. It’s noteworthy that Iran’s top leadership has set conditions for remaining in the nuclear deal and underlined that if the P4+1 group of countries fails to remain committed to their collective pledges under the deal to remove the brutal sanctions on Iran, the country will revise its decision to remain in the JCPOA. Under the terms of the JCPOA, the Joint Commission is responsible for overseeing the implementation of the nuclear deal. The commission’s meetings offer an opportunity to review the implications of the withdrawal of the US from the JCPOA and discuss the way forward to ensure the continued implementation of the deal in all its aspects. Iran’s Leader of the Islamic Revolution Ayatollah Seyyed Ali Khamenei ordered the country’s atomic energy body on Monday to prepare for an increase in uranium enrichment capacity up to 190,000 SWU if the nuclear deal with world powers falls apart after the US pulled out. Under the nuclear deal, the Islamic Republic curbed its nuclear energy program and in return won a lifting of most international sanctions that had hobbled its economy. The UN’s nuclear agency, the International Atomic Energy Agency (IAEA), has said in at least eleven reports that Iran continues to stay below the maximum level of uranium the deal allows it to enrich. Iran’s Leader said the latest push for enrichment would still be within the terms of the Iran deal if other sides fail to fulfil their commitments.